On this map you will find a big castle situated on the hill, near the river. The castle has two waterfalls falling from the towers and big courtyard. 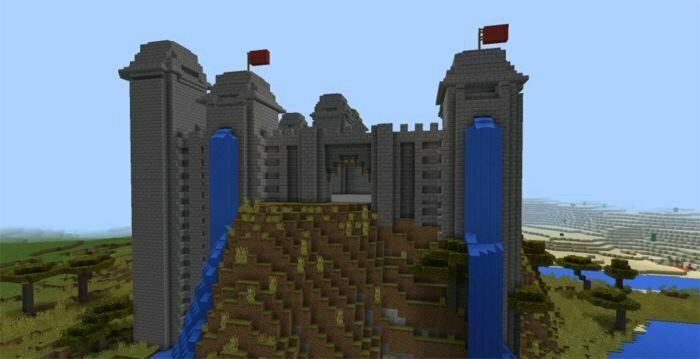 Nor zombies, nor creepers will not sneak into the castle, so it's a good place to start your game.